SIWA is a software for monitoring the main parameters of our storage plants. 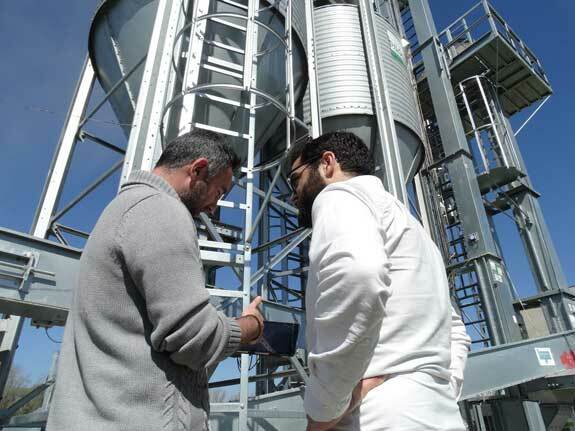 It is managed via an information App in real-time to monitor (see but not operate) grain storage plants via Internet. SIWA is an oasis in the Egyptian desert where the oracle of Ammon is found. The oracle confirmed to Alexander the Great that he was a divine being and the legitimate Pharaoh of Egypt, who would foster the creation of his Great Empire. Beyond mythology and history, our system aims to emulate the oracle and become a tool which can be asked for specific data on a facility and return very accurate and specific information. What do I need to use SIWA? To use SIWA I need to have a stable Internet connection. For proper operation, SIWA requires a stable Internet connection in the plant, either through ADSL, telephone or satellite coverage. This way, it offers secure diagnoses of what is happening at a grain system without needing to be there and allows up-close monitoring. What does SIWA do for me? 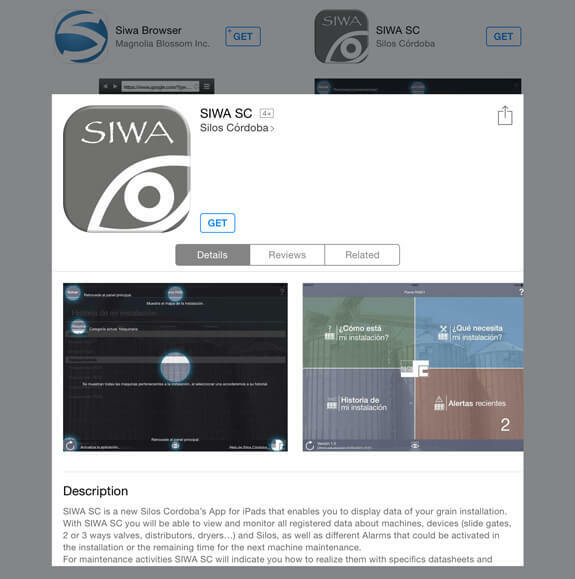 SIWA allows me to manage the maintenance and be warned of anomalies that may occur in the system. The software will indicate the ideal time to do the maintenance tasks of the facility, thus helping increase the useful life of the system. It also keeps plant operators informed of all anomalies that may occur in the system so they can be resolved as quickly as possible and further optimize the operation times. We can manage one or several facilities from a single device. What information does SIWA provide? SIWA provides me a status of my system in real time. With SIWA, you will be able to find out the status of your grain system, silos’ level, what process is being executed at any given time, and more in a quick glance. 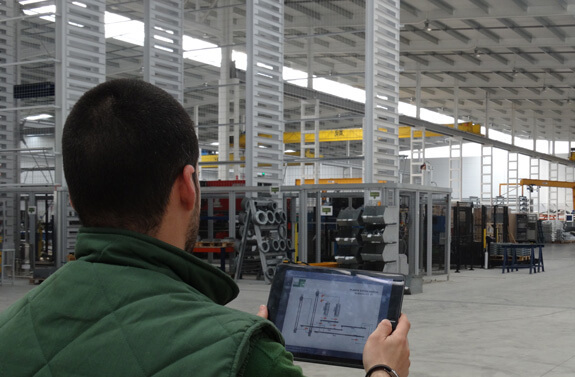 Our software will provide an analysis of the machinery and accessories in the system and warn you for proper preventive maintenance. You can set a notification log of facility alerts as well as the acknowledgement of alerts by the plant operator. You will always have a log with access to all data from the very system commissioning. 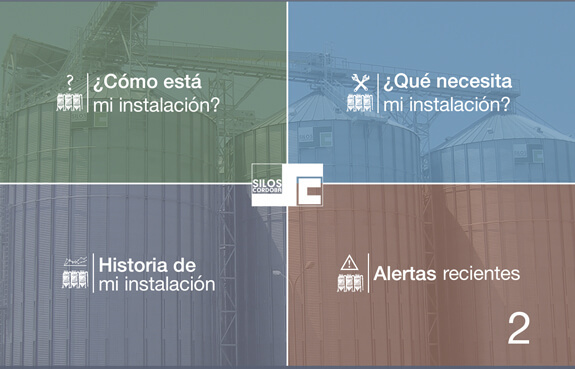 Get more details about this app developed by Silos Córdoba and solve all queries about its optimal operation and use by contacting our Research and Development Department (idi@siloscordoba.com).